A new Level 3 Tuner for Shiranui appears, allowing you summon both Shiranui light and Mayakashi dark. Note: This card’s name seems to refer to 逢魔時, the point of Dusk when the sun sets, allowing monsters, demons and Yokai to appear in this world. The 逢 in its text is also shared with the Spell Card “Shiranui Saga Story”. So the inference being is its name is to bring to mind it likely being designed to work with Mayakashi cards. 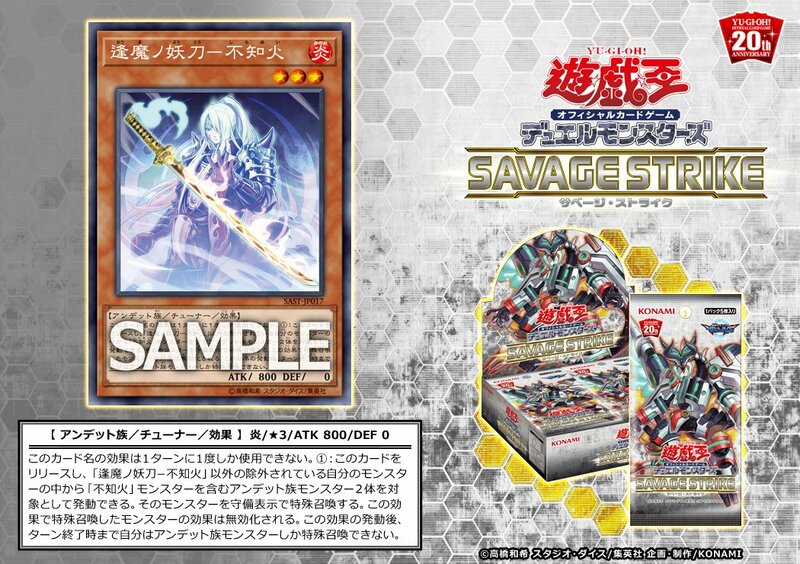 An equally apt name for this card would be “Shiranui Spectralsword of Summons”. Flip a coin, both are right in one way or another.